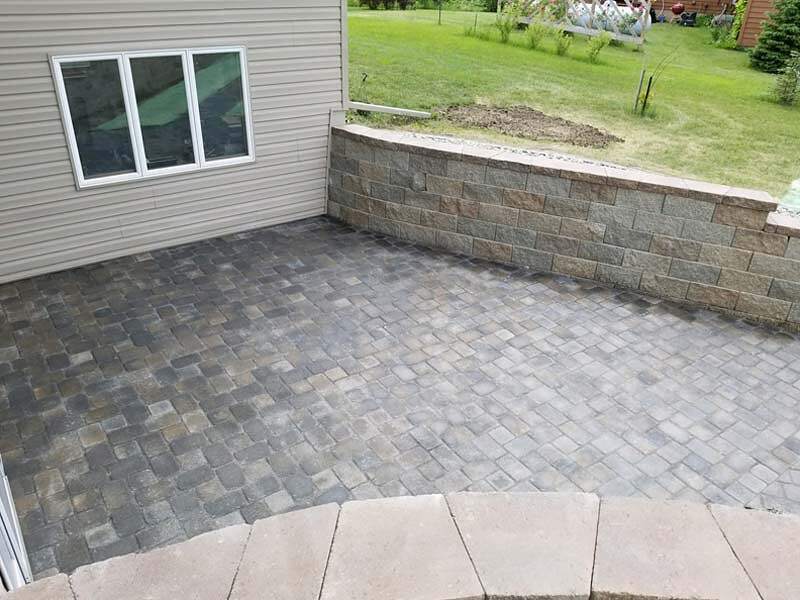 With over 30 years experience, we know landscaping. 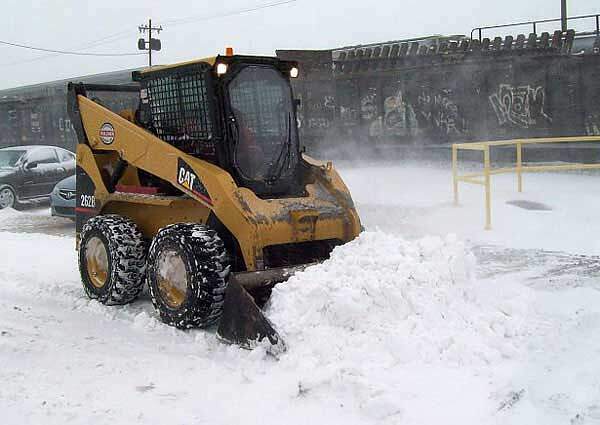 We take pride in our honest work and prompt service. 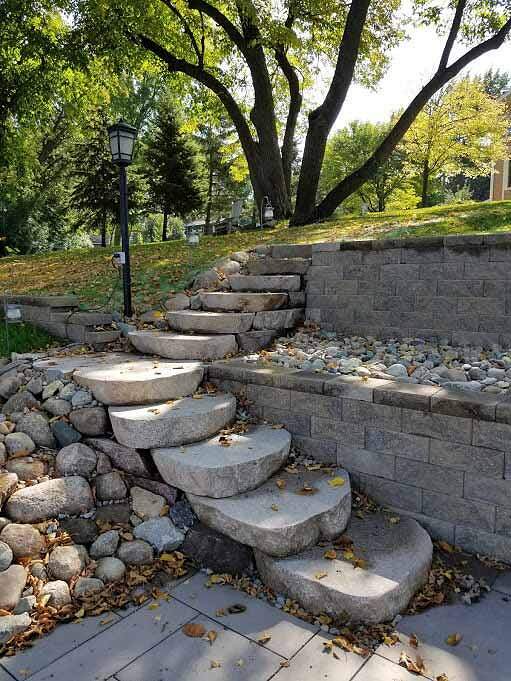 We create walls, erosion control, steps and more! We work together as a team to get the job done right. 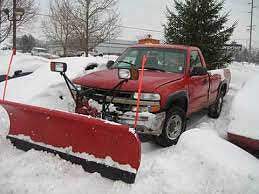 We have the tools to effectively get the job done. 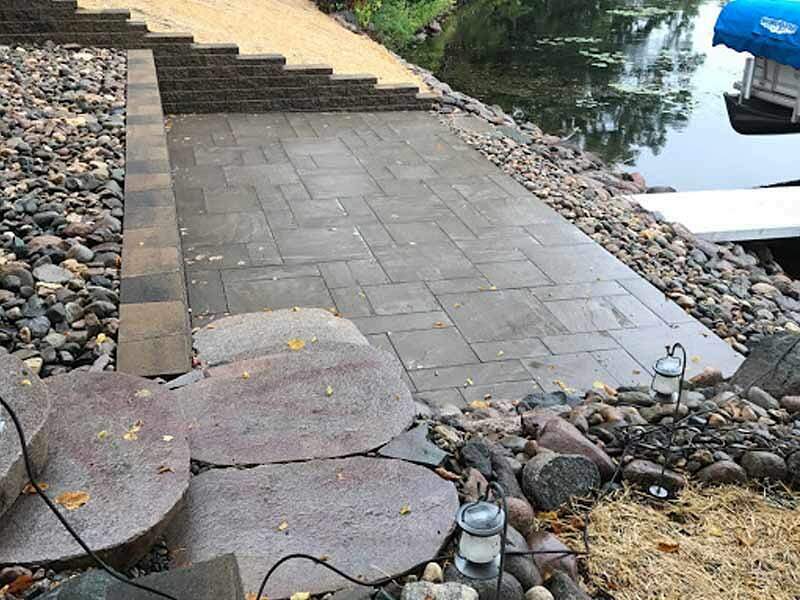 You can rest assured that we’ll add beautiful, functional and quality pathways, pavers and sidewalks to your landscape to attain visual appeal and safety. 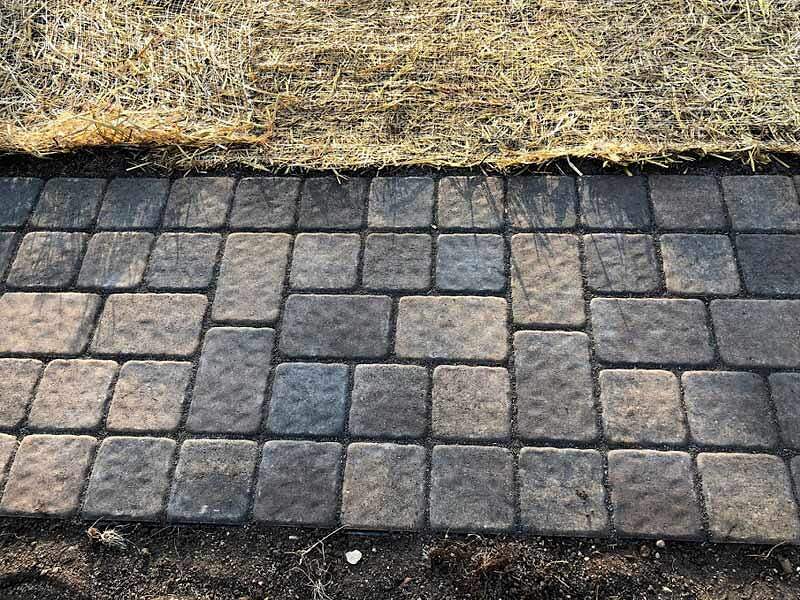 The best pathways can also be made from pavers. 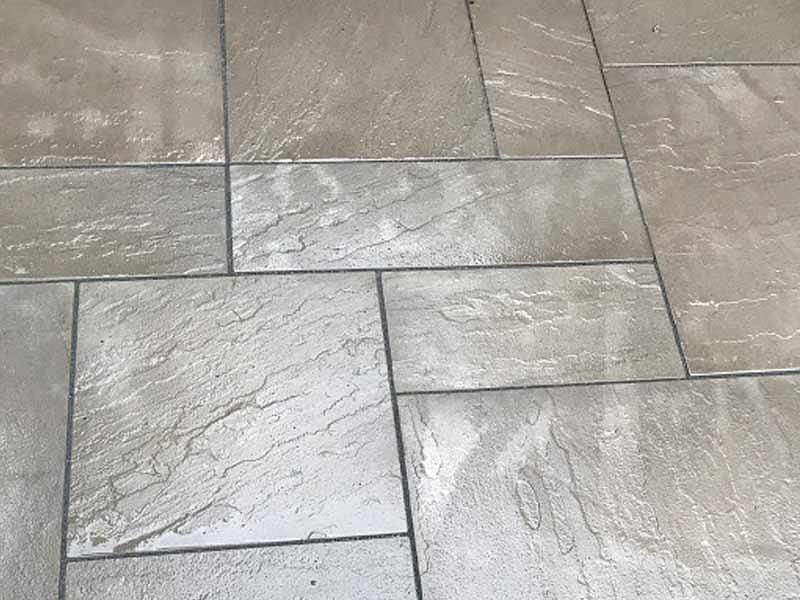 Concrete pavers, as compared to other pathway options such as gravel, concrete and flagstone, are better due to their custom look, uniform surface, and reliability. 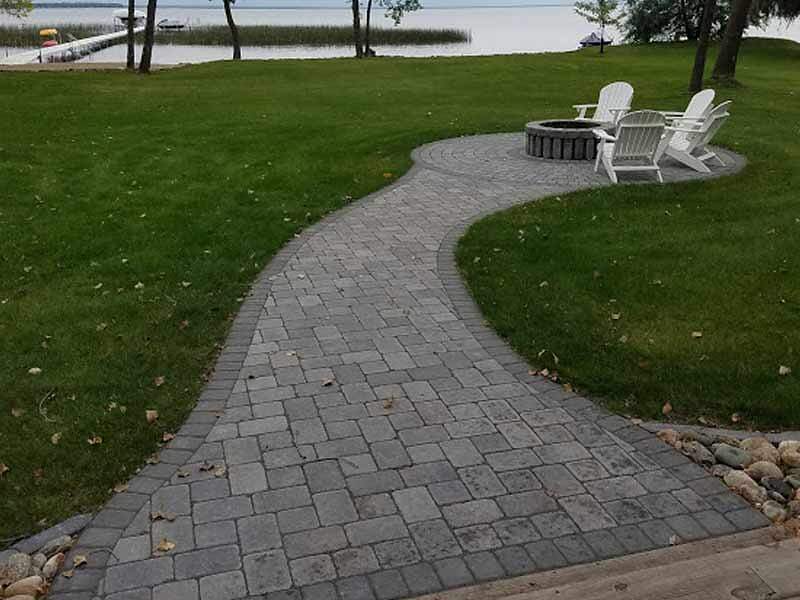 Lake Shore Services is recognized as experts in landscape paver installation. 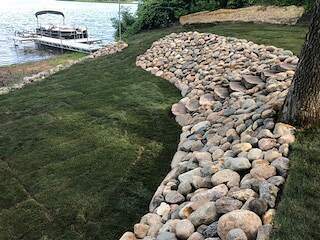 To render your landscape erosion resistant, we offer erosion control services by: analyzing the damaged area and offering solutions such as rip-rap and slope stabilization. 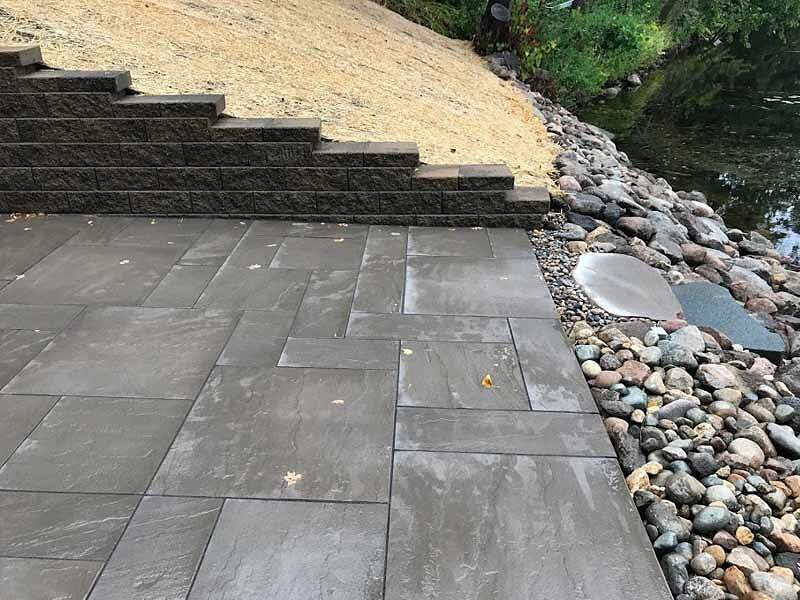 We understand the risks posed by poor drainage and subsequent erosion and commit ourselves to delivering appropriate solutions that allow you to enjoy your landscape. 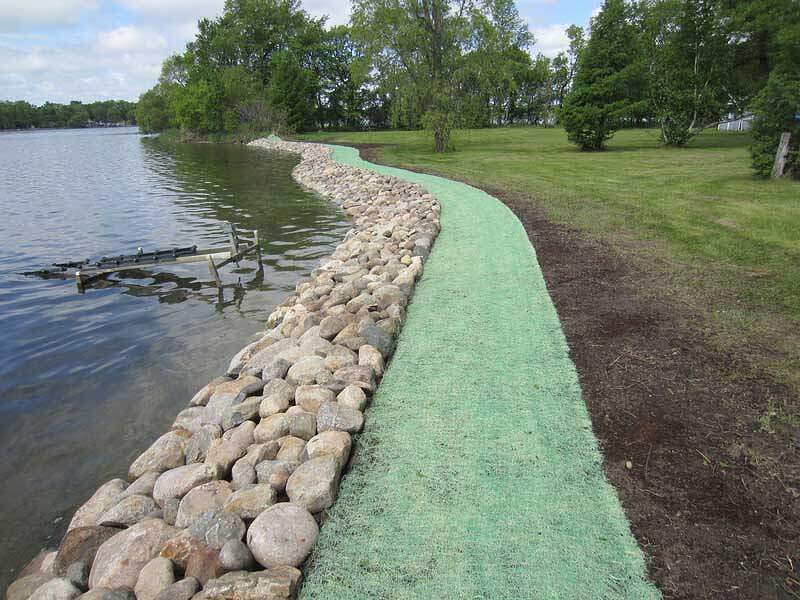 Our experts at Lake Shore are always prepared to meet your specific erosion control needs. 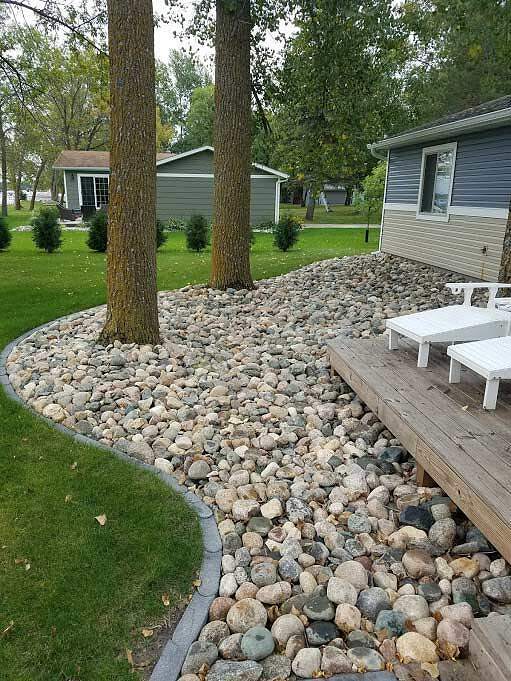 Riprap is coarse gravel, boulder, or rock, loosely placed against a shoreline to prevent or control erosion. 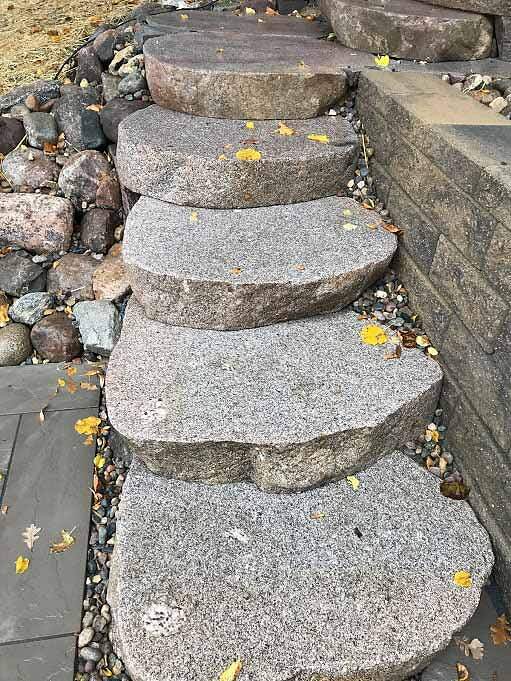 It creates an elegant appearance of the shore, improves its environment, can appreciate the value of your property, and stands the test of time. 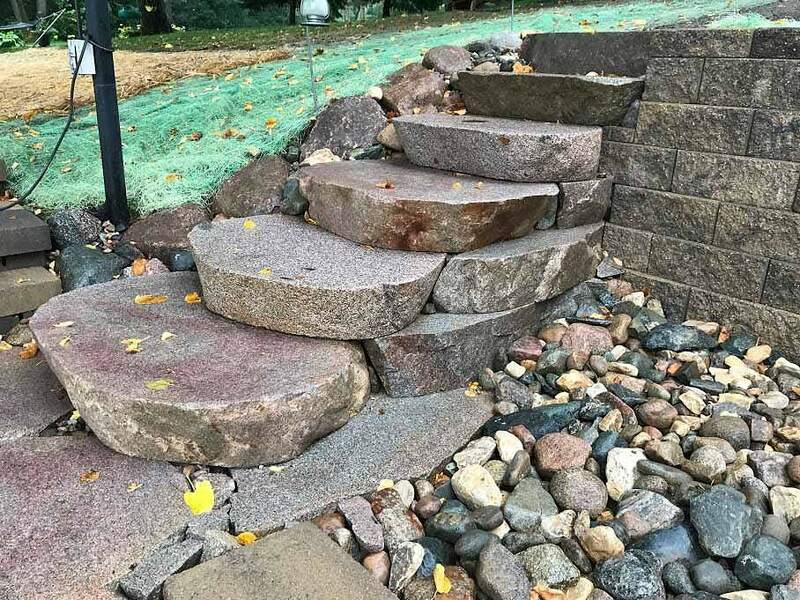 Fieldstone is usually among the most durable and beautiful riprap. 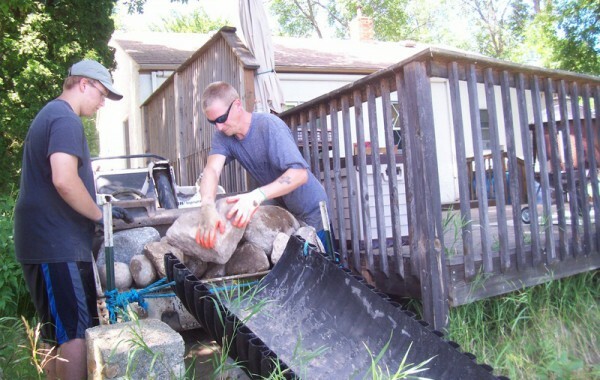 Our Riprap services are aimed at helping you reduce erosion from waves and currents. 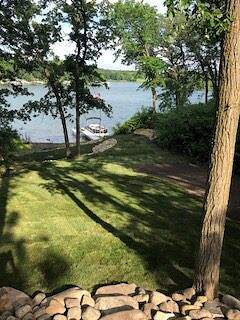 Lake Shore Services also provides tree removal where needed. 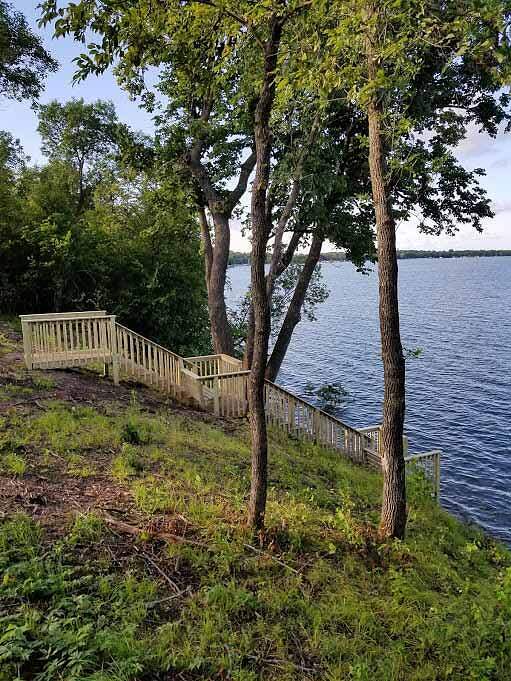 Tree removal is an extremely technical task, which requires the skills of well-trained professionals. It ensures the safety of your home and adjacent properties. It may be essential to remove a tree if it’s affecting the growth of other trees, or poses danger to buildings, driveways, or utility cables. 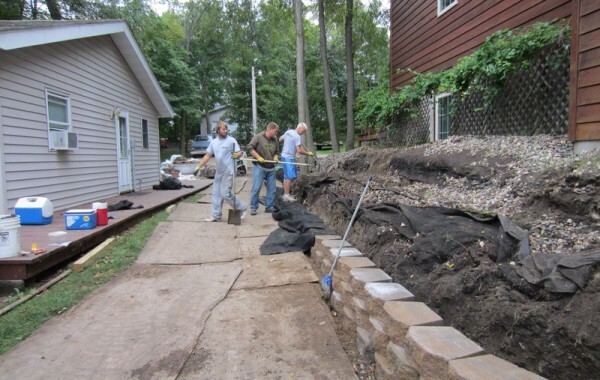 Another specialty of Lake Shore Services is designing and constructing retaining walls. 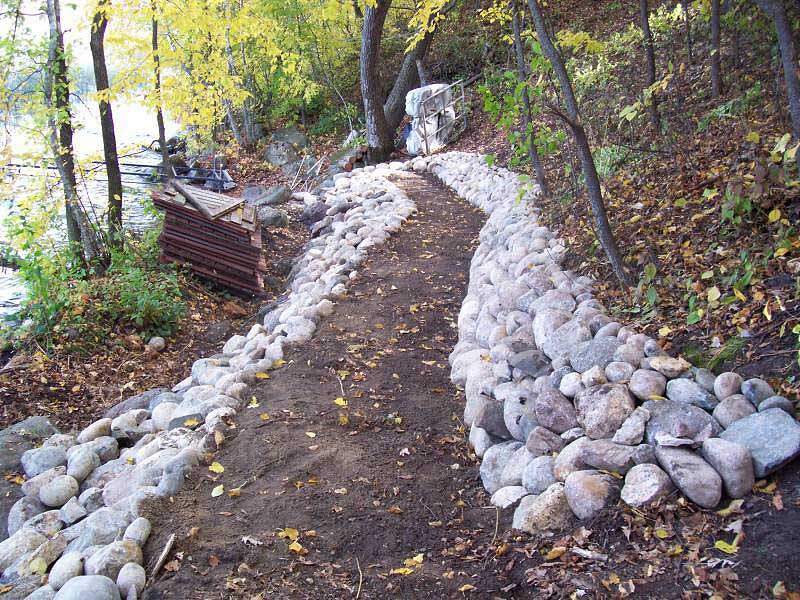 Retaining walls are vital in sloped regions to control erosion or flooding. 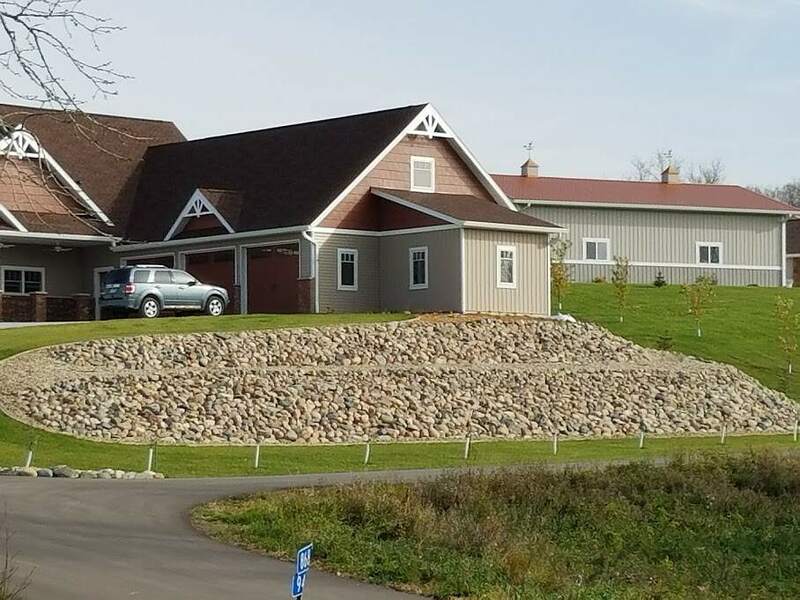 The retaining wall stabilizes slopes and offers valuable land for properties with various heights. 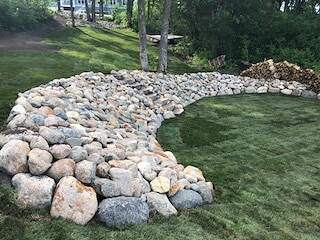 A boulder wall is a great approach to include natural elements in your landscape. 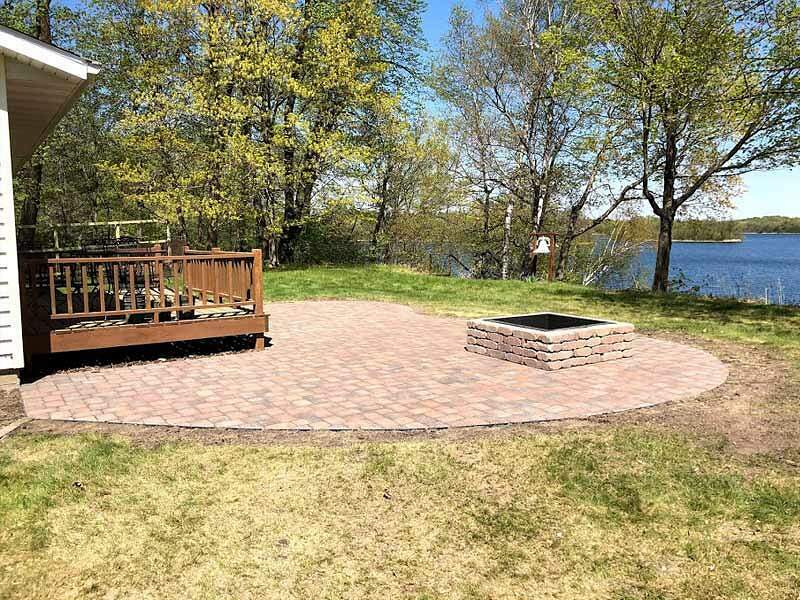 Additionally, it’s inexpensive, durable and maintains an outstanding view. 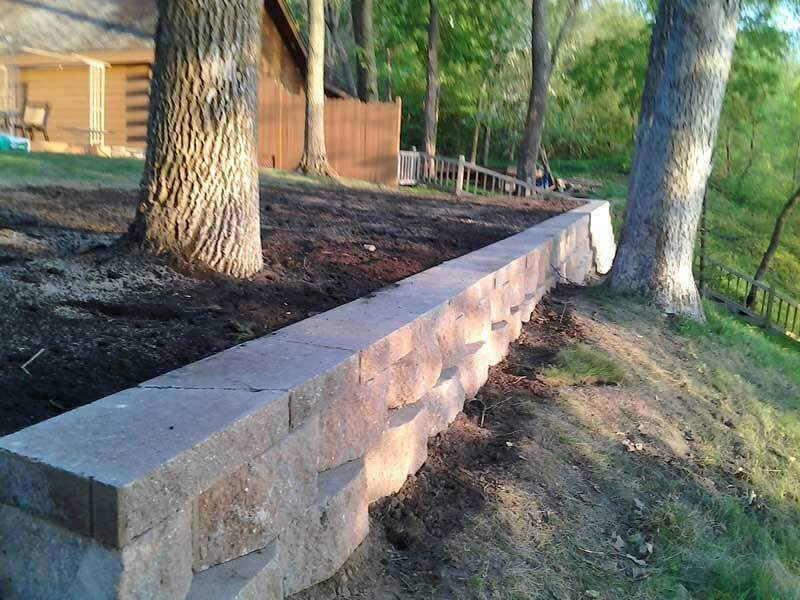 If your property requires a retaining wall, Lake Shore Services is your solution. 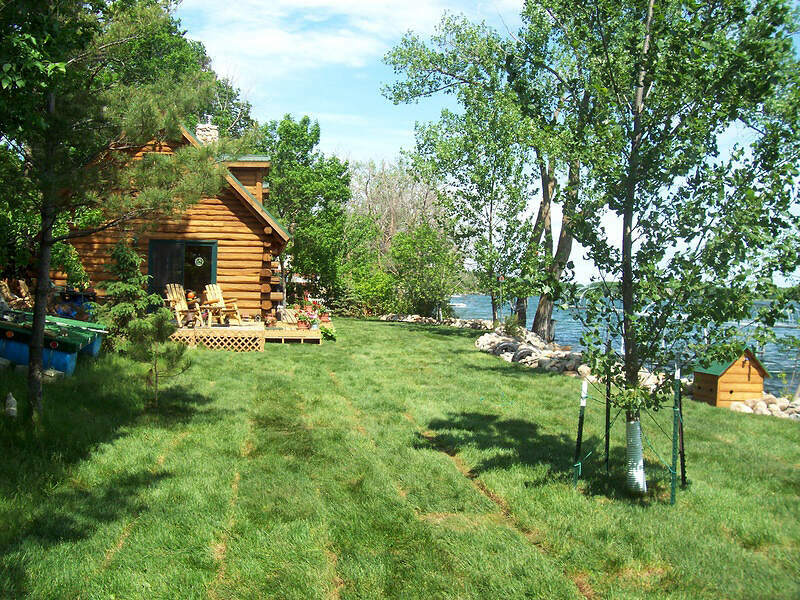 A professionally laid lawn can significantly improve the appearance of any home. 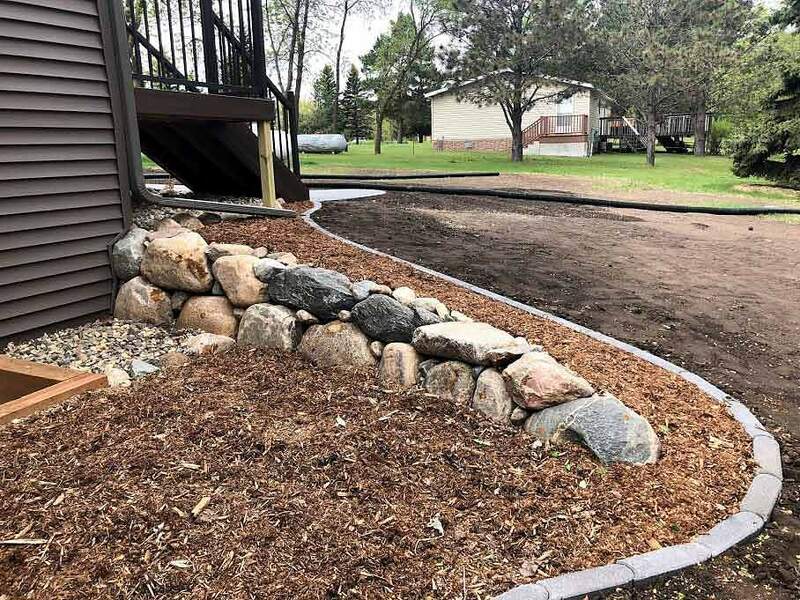 Our sodding services are designed for all types and project sizes, from minor patches to thorough lawn resurfacing; we can assist you to achieve it. 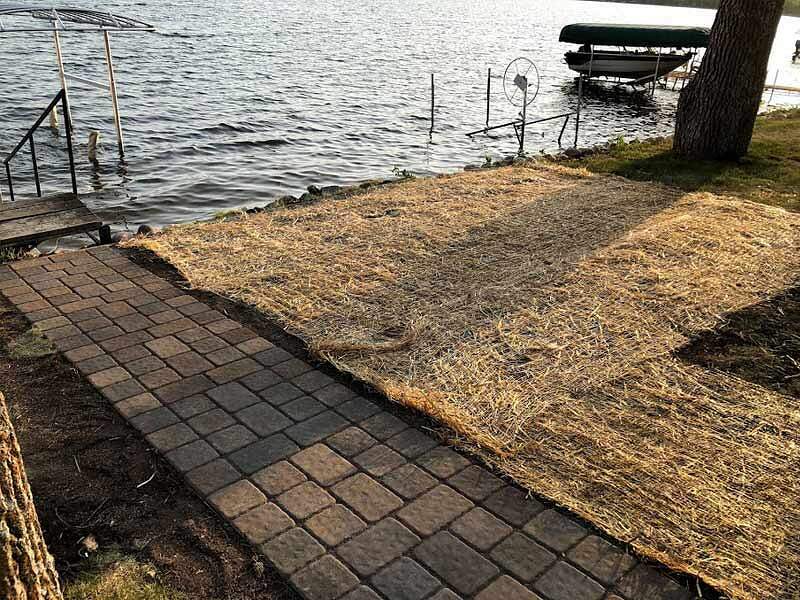 Lake Shore Services can deal with all of your sod needs. 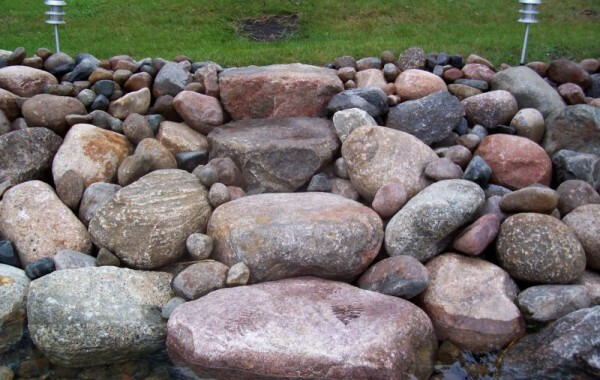 Rock beds are among the most versatile components available for a landscape transformation. 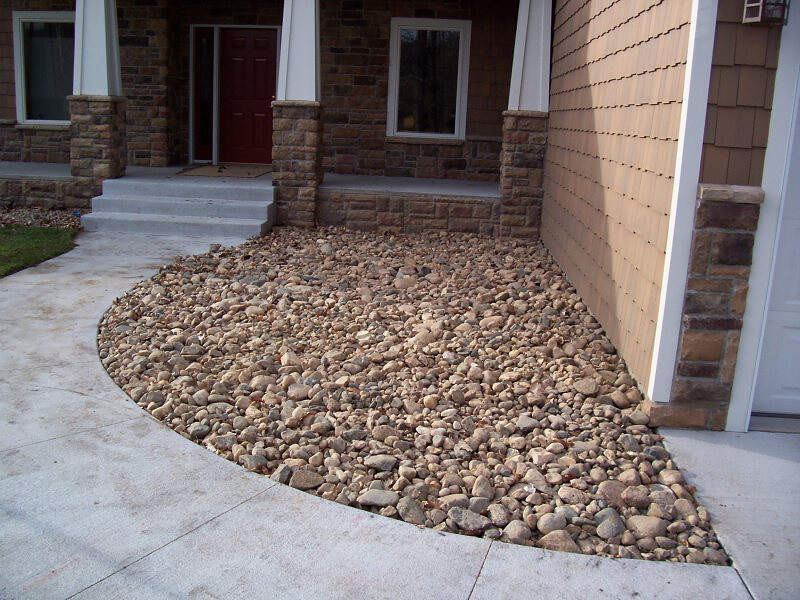 Rocks enhance texture and contrast, serve as a resilient groundcover and requires little or no maintenance. 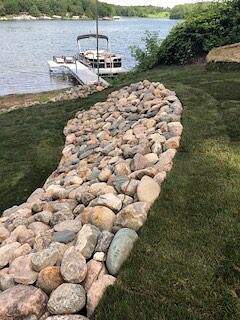 Rock beds make a remarkable border to a pathway. Lake Shore Services rock bed services really define a space while improving sculptural interest. 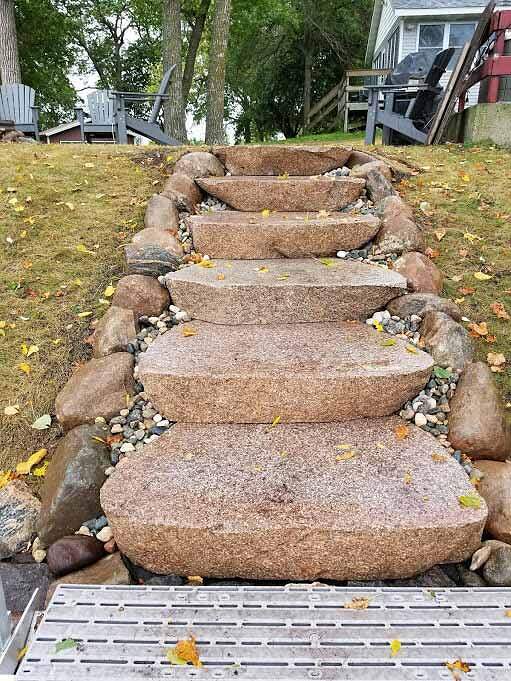 Boardwalks and steps create a functional passage over your space, while having a minimal impact on your visual landscape. 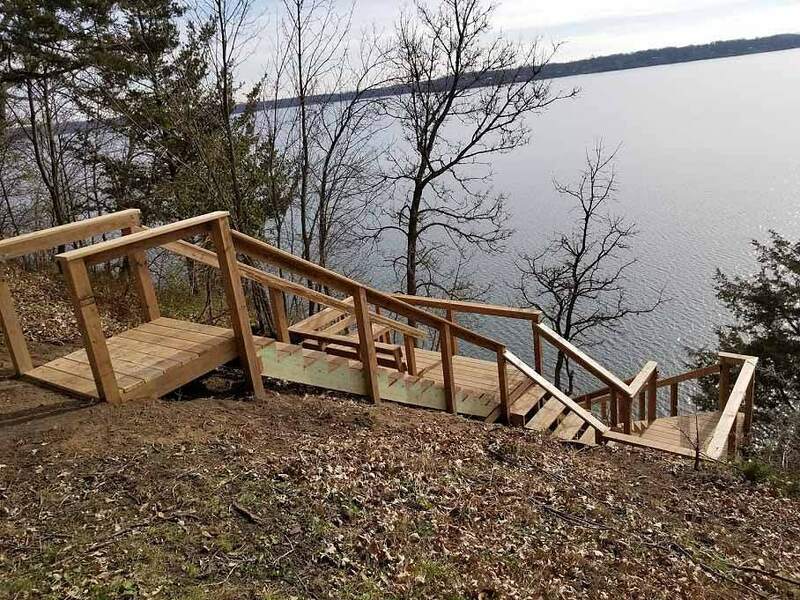 Boardwalks and steps allow you to enjoy more of your property safely. 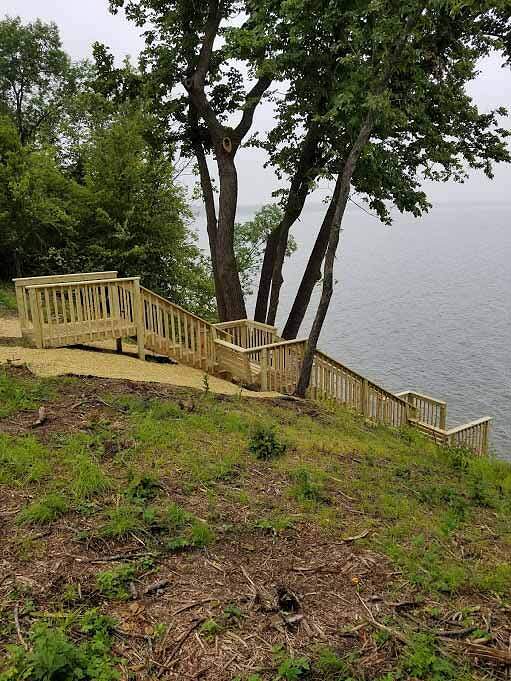 A boardwalk can create a relaxed and wonderful experience for those who may have mobility difficulties. 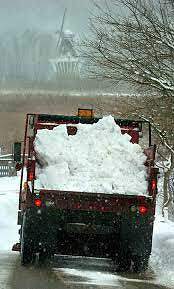 Lake Shore Services now offers snow removal services. Commercial and residential contracts available. Residential flat rate. 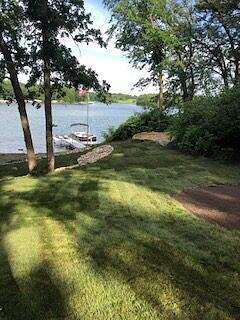 Call Scott at 701-552-2454.